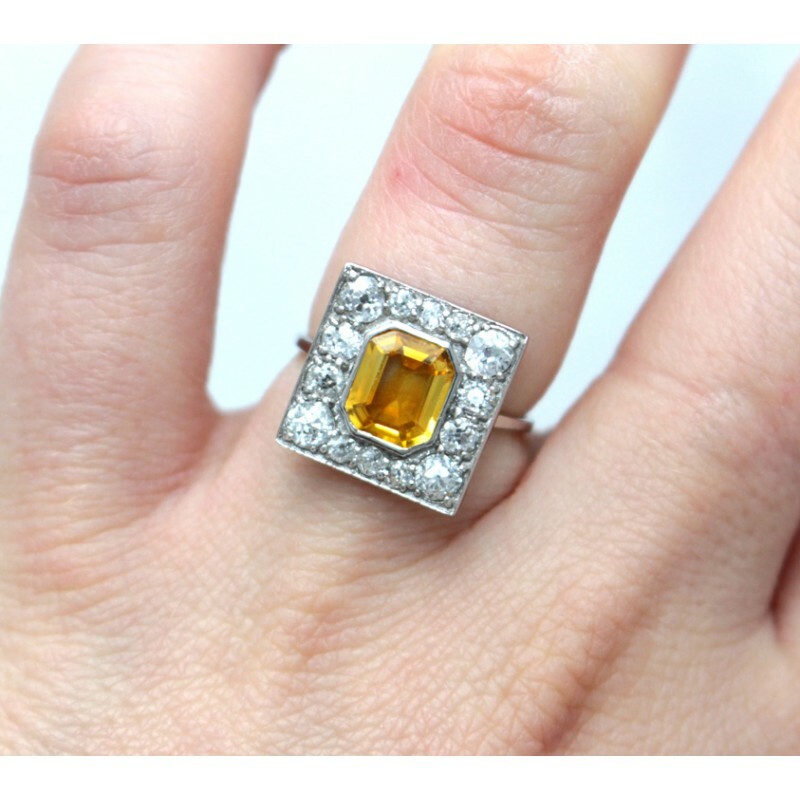 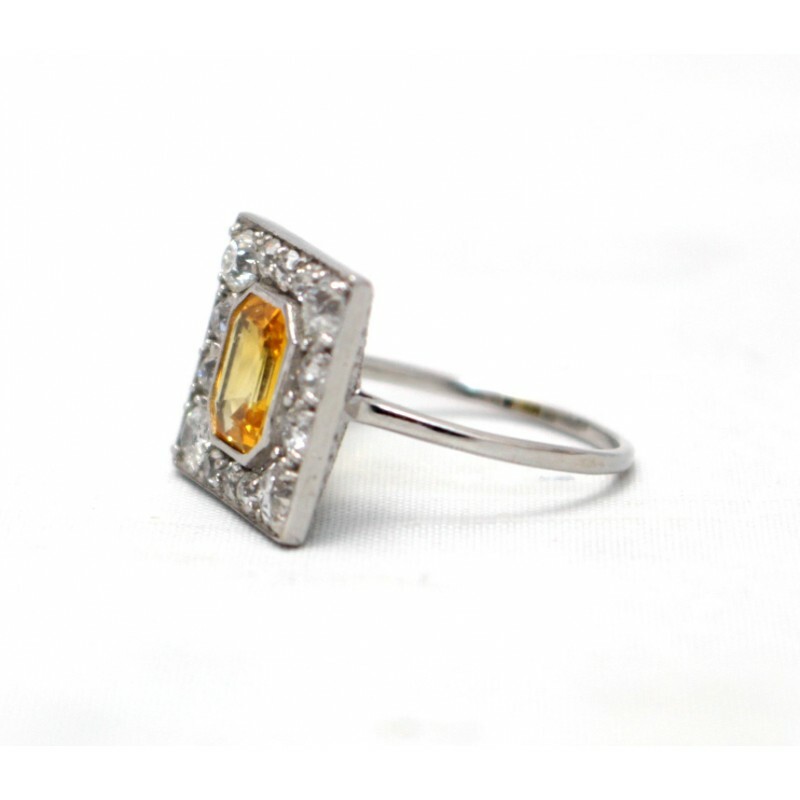 This gorgeous ring features an emerald cut, yellow sapphire, mounted in collet setting. 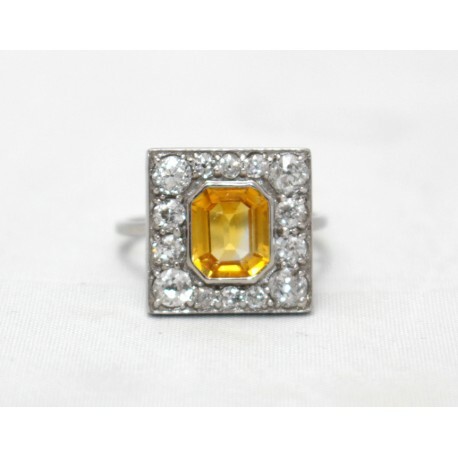 Old round cut diamond set around it. All mounted in 18ct white gold with an 18ct white gold shank. 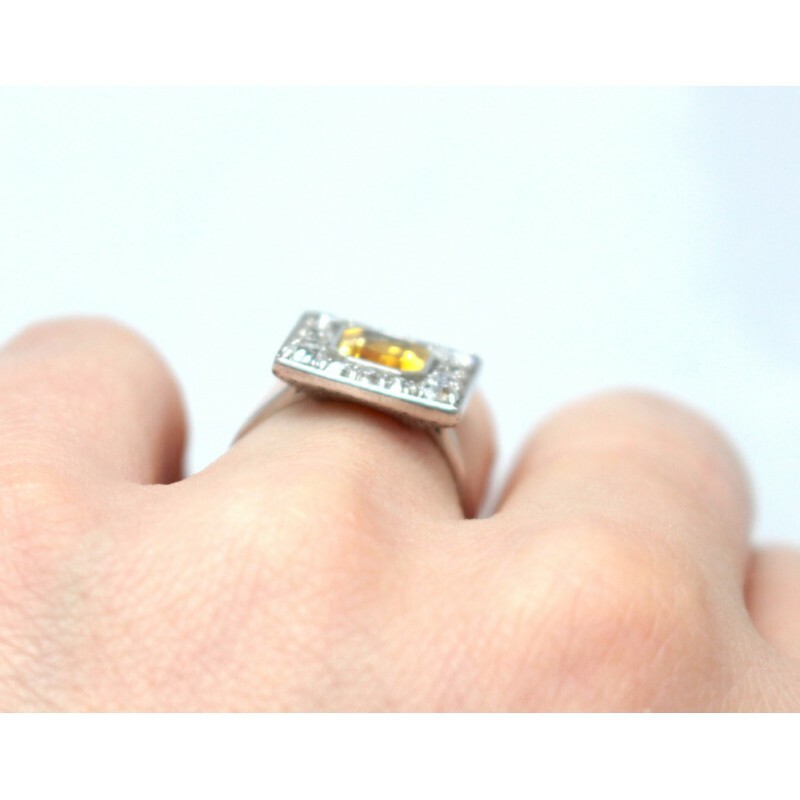 The ring measures 14mm x 14mm x 5mm.